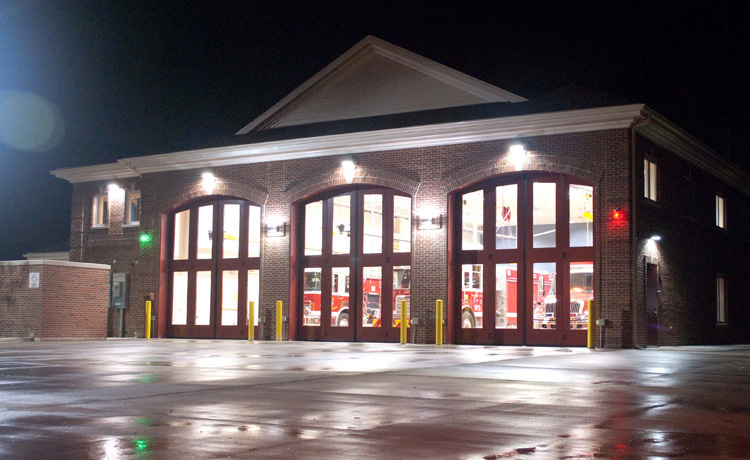 The Gurnee office of Kluber Architects + Engineers designed the 11,844-square-foot Zion Fire Station for the Zion Fire Department, which included administrative, life-safety plan review and training components. The fire department had been experiencing constant damage to their traditional overhead doors in their apparatus bay. The new design used bi-fold doors as a solution. The apparatus bay also includes vehicle exhaust, radiant heat and state-of-the-art vehicle and equipment maintenance components.